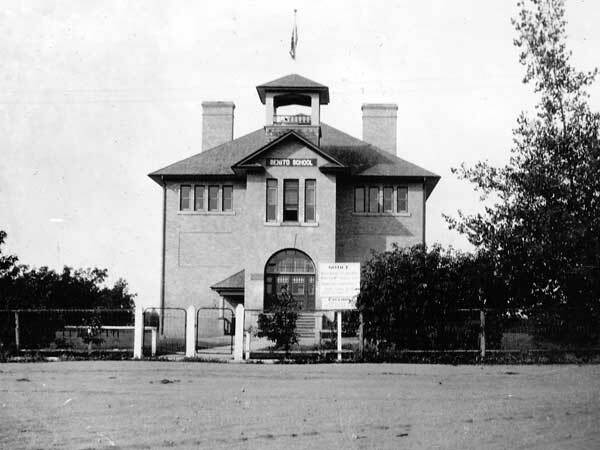 The Benito School District was established formally in March 1907 and a concrete-block school building was erected in Benito in what is now the Municipality of Swan Valley West. Originally consisting of a single classroom, a second room had been added by 1911. 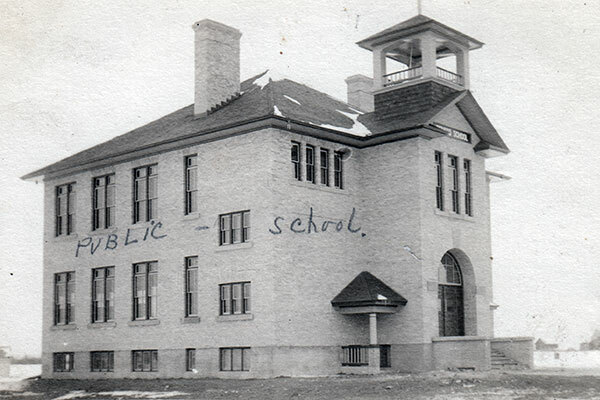 In February 1913, it consolidated with other schools in the vicinity, specifically Robson School No. 1163, Bonny View School No. 1212, Corbett School No. 1423, and Parsonville School No. 1596, to form Benito Consolidated School No. 1408. 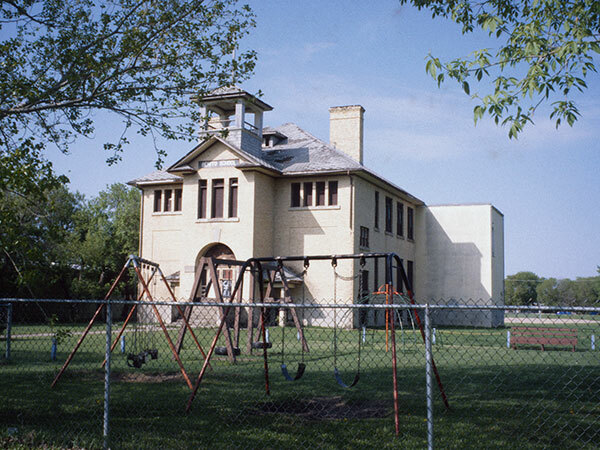 The next year, the original building was replaced by a two-storey, four-classroom, brick veneer structure designed by Winnipeg architect E. D. Tuttle (an earlier plan by Dauphin architect J. H. Bossons having been found inadequate) and built by contractor John S. Free, on land donated by J. W. Robson. In April 1967, the school became part of the Swan Valley School Division No. 35. It remained open until 1974. The building stood vacant for some years, finally being demolished around 2000 and replaced by a recreation centre. 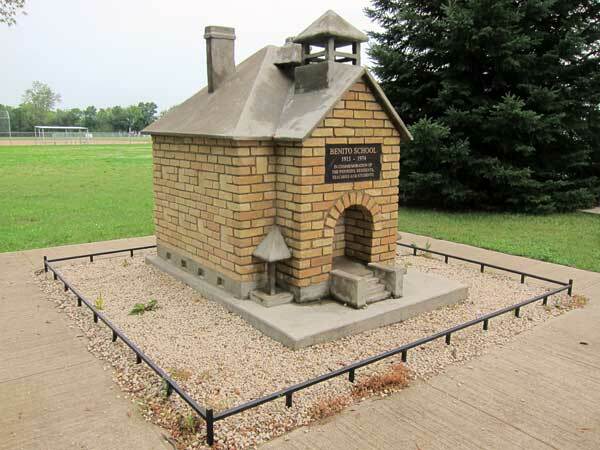 A school model, made of bricks salvaged from the building, was unveiled at the site in 2006. Among the teachers of Benito School were John F. Scribner, Jessie Corbett, Eva Smith, Elsie Payne (c1911), Florence Henry, E. Emmond. GR8461, A0233, C131-2, page 112. “Benito, Man”, Western Canada Fire Underwriters’ Association map by Charles E. Goad, Toronto & Montreal, May 1910, Library and Archives Canada. “Tenders for building Benito School,” Manitoba Free Press, 26 March 1914, page 2. The Development of Education in Swan River Valley by J. N. R. Clark, MEd thesis, Faculty of Education, University of Manitoba, 1949. Lasting Impressions: Historical Sketches of Swan River Valley by Swan Valley Historical Society, 1984, page 165.